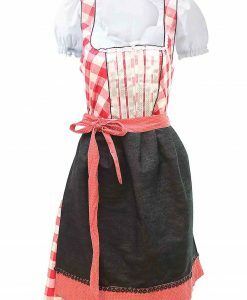 A Beautiful spieth & wensky red dirndl dress. 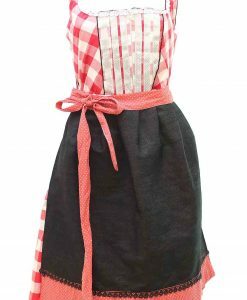 Includes a black contrast apron with Red Lace. 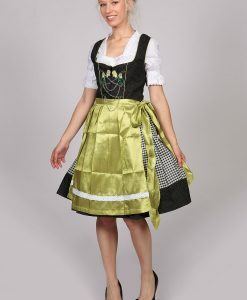 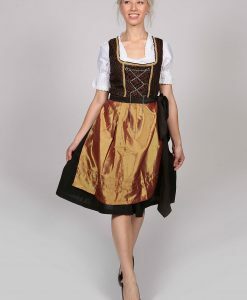 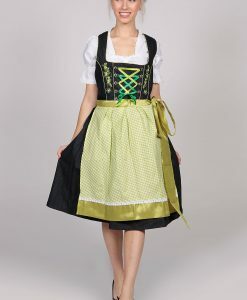 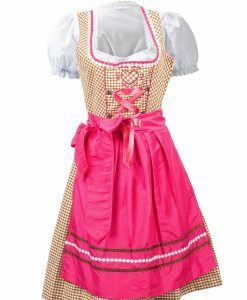 Makes a beautiful complete German dirndl costume. 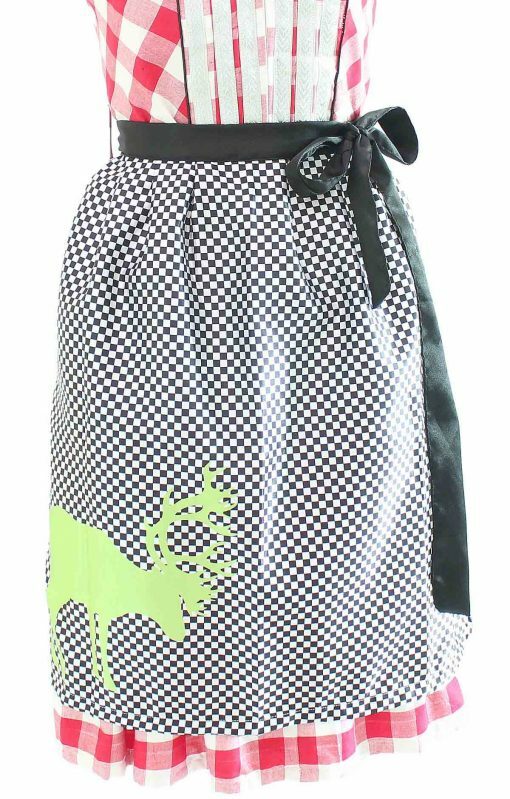 Also includes a black pattern apron with black lace. A black bodice dirndl dress with a red checkered skirt. 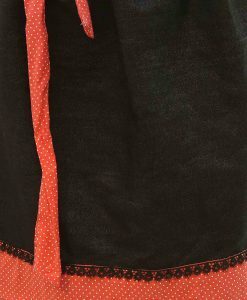 A sleeveless dress with a length that almost covers the knee and would go great with a set of black heels. 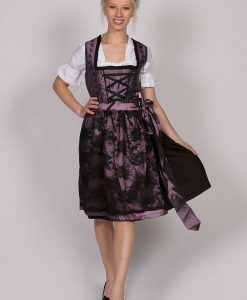 The neck line has a fine black piping, along the cloth for a vivid look. 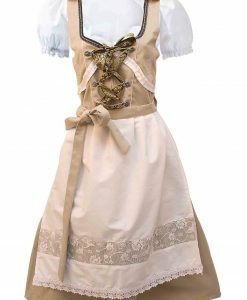 The bodice has a parallel laces of white and black piping for a perfect design. 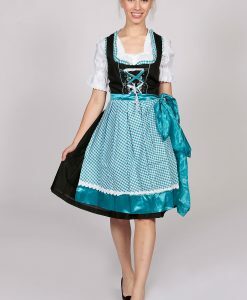 Its, a zipper back dirndl dress. 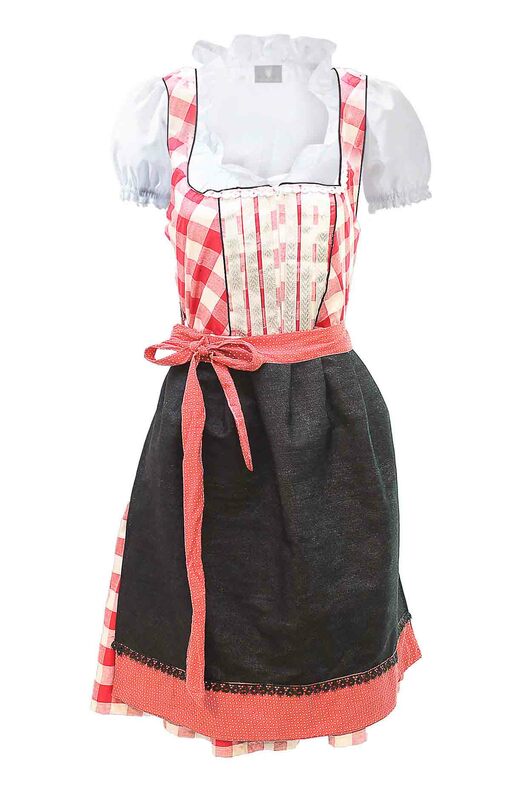 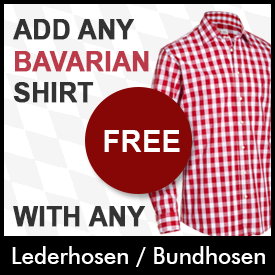 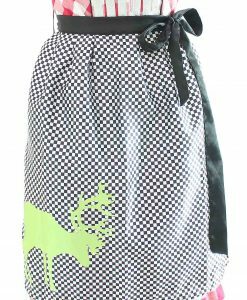 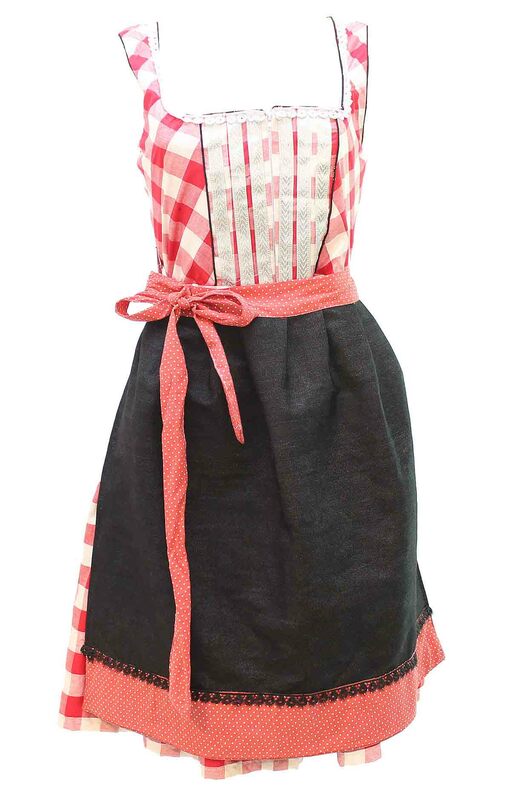 Compliments best with a plain black apron that has a wide border of checkered red cloth. 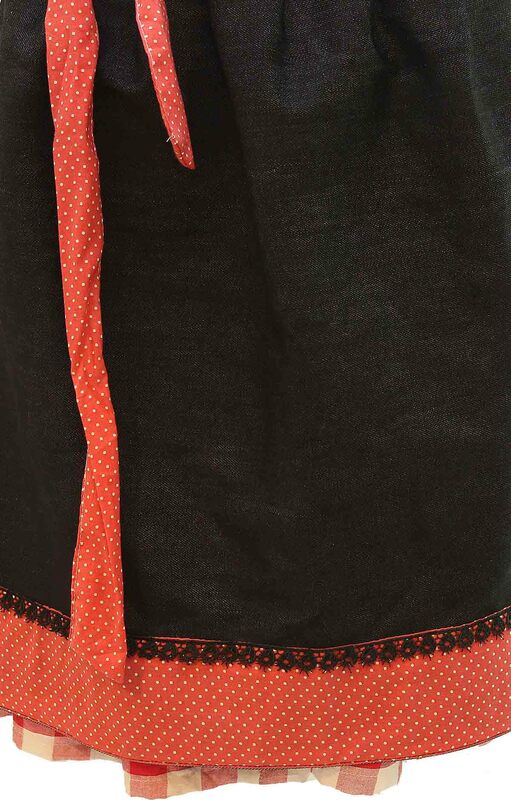 A checkered lace runs around the waist to be tied as a neat bow.